Exceptional works in both style and subject, a generous gift of five paintings by Kenneth Macqueen (1897-1960) from the artist’s son and daughter‑in-law, Revan and Nell Macqueen, not only add to the Gallery’s existing holdings, but also confirm QAGOMA as the largest institutional holder of works by this significant Australian artist. 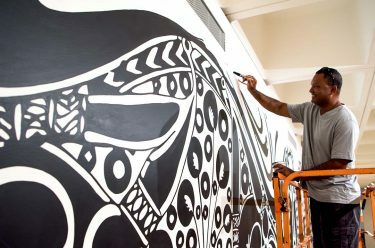 Australian modernist Kenneth Macqueen brought a fresh, dynamic approach to Australian landscape painting. 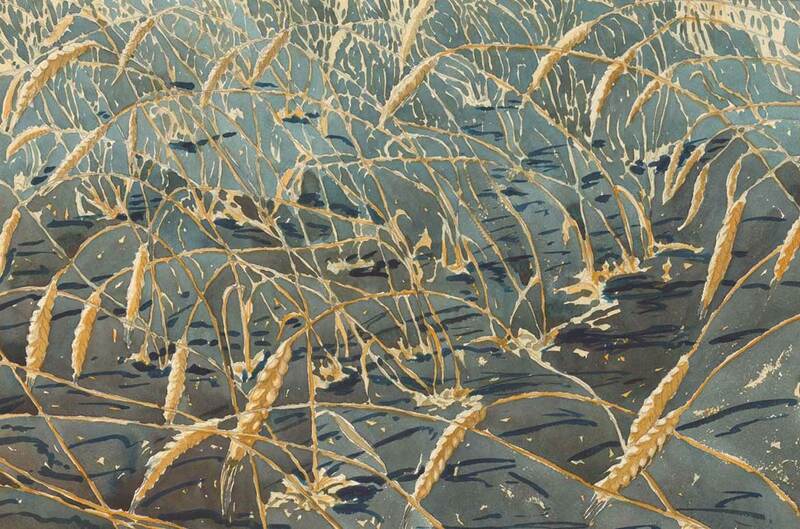 Watercolour was a medium he loved and worked to refine, becoming the most distinctive watercolourist of his generation. 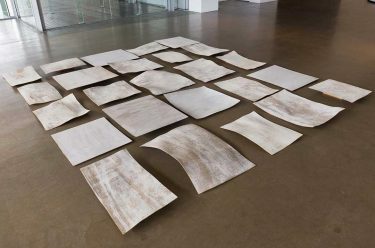 Macqueen was also a farmer, and his works reveal his deep bond with his property, Murralah, near Millmerran on Queensland’s Darling Downs, where he settled in 1922. 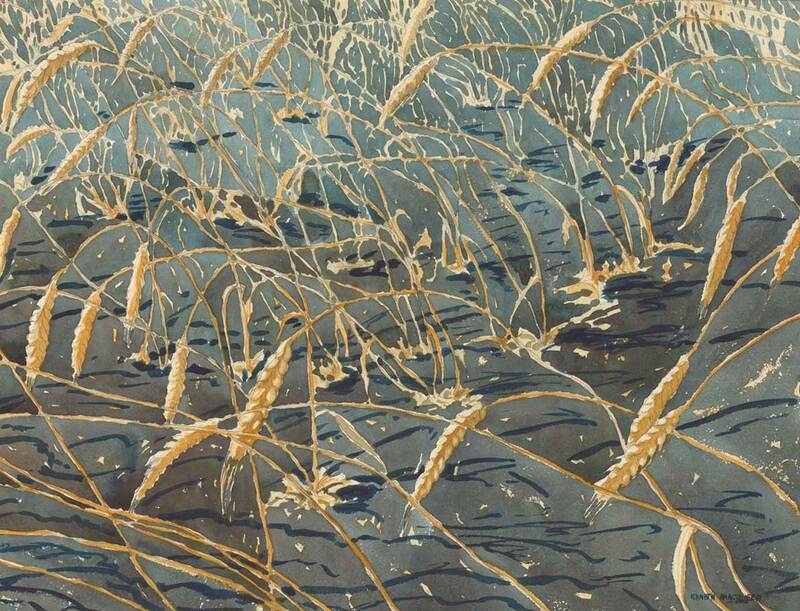 The open, undulating landscape became the focus of both his farming and his art from this time — crisp, vibrant washes evoke its climate and landforms, and reflect a confident vision of the country he worked. 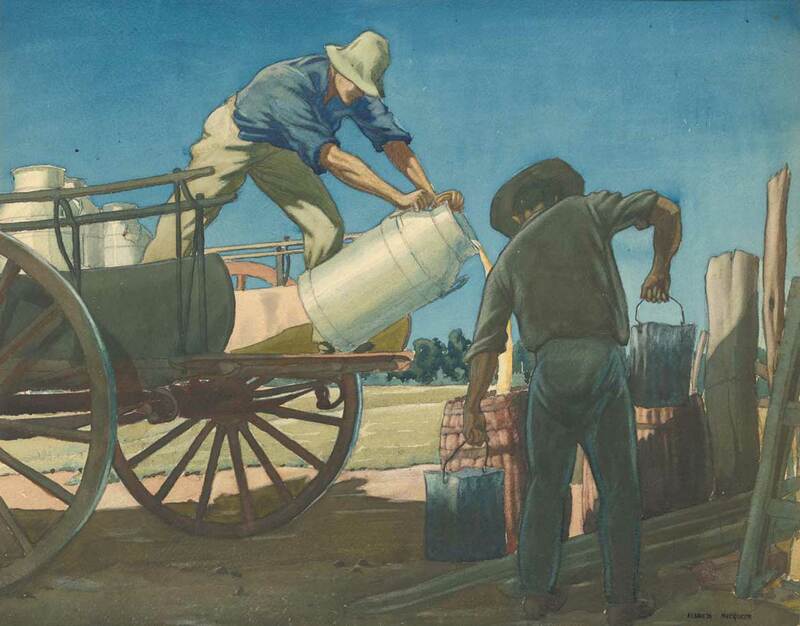 Macqueen’s works also incorporated the daily routines of farm life, represented splendidly in (Feeding the pigs) c.1929, in which figures distribute the dairy farm’s unsold milk. This is a rare work: the artist’s wife, fellow artist and illustrator Olive Crane, may have helped in the rendering of the figures, although Macqueen’s is the only signature. Crane tragically contacted meningitis in hospital after the birth of her second child, and died in 1935. 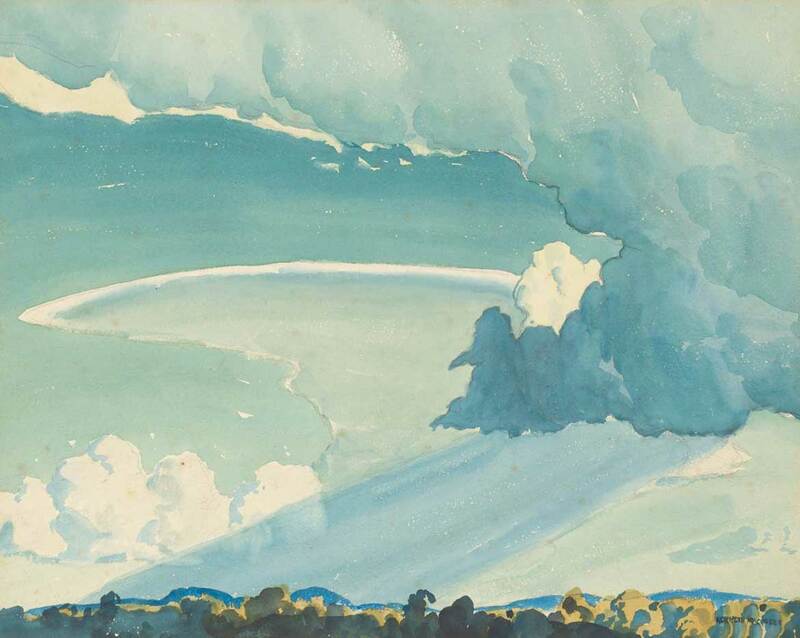 The cloud formations Macqueen painted in the mid 1920s were stylised, and treated as part of a general design scheme. From the 1930s, however, he increasingly depicted clouds as three-dimensional forms, with equal weighting to other elements within his compositions. Cloud arrangement c.1945 is a marvellous example of this rich source of inspiration. Billowing storm clouds, coloured by light and shadow, dominate the scene, with a sliver of distant hills and trees in the immediate foreground serving to accentuate their grandeur. From the 1930s, Macqueen’s oeuvre expanded to include coastal scenes, inspired by his holidays, and which explore the forms and pleasures of the seaside. 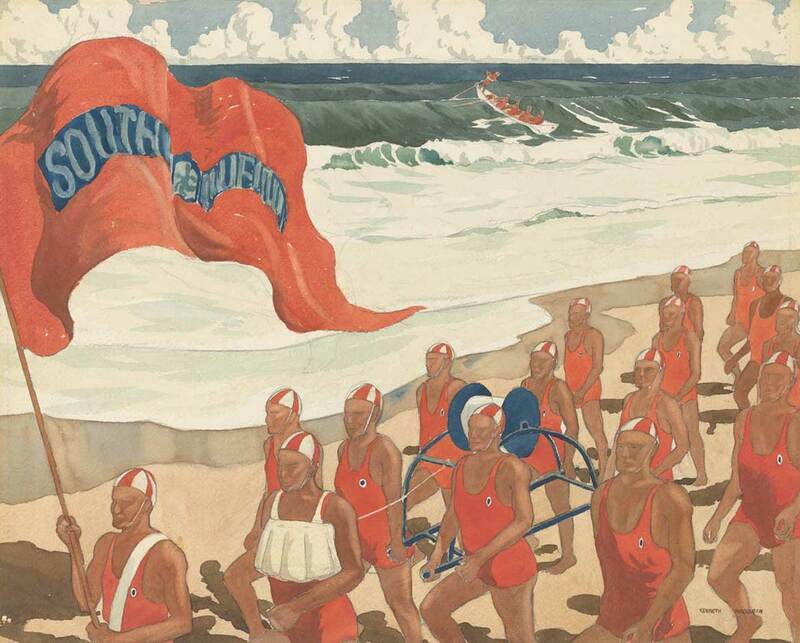 The march past 1935 captures the burgeoning beach culture of the time in its depiction of a colourful procession of surf lifesavers. Macqueen travelled to the Great Barrier Reef in 1938, which had long attracted naturalists, but was becoming increasingly popular through the publication of books on the subject. S Elliott Napier’s On the Barrier Reef: A Story of Australia’s Coral Wonderland (1928), and TC Roughley’s Wonders of the Great Barrier Reef (1939), were part of Macqueen’s own library, and point to his fascination with the area. 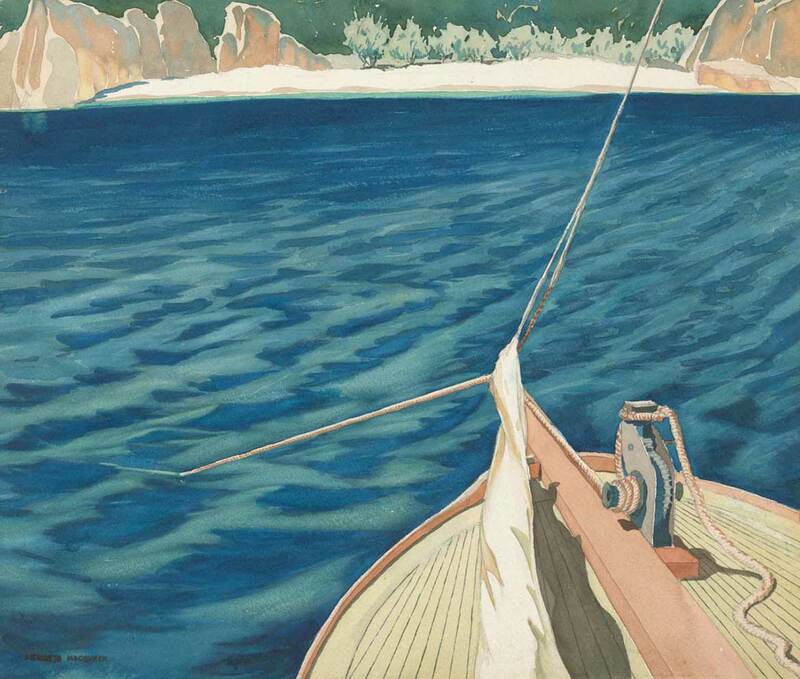 In At anchor off a Barrier Reef island c.1938–39, which is based on a sketch, he captures the viewpoint of a reef island from a boat deck. The taught lines of anchor and mast ropes dissect the composition, which creates a dynamic tension to the work, drawing the eye into the scene. These outstanding works showcase not only the varied and engaging subjects of a Queensland artist of national importance, but also his considerable contribution to the development of Modernism in the depiction of the Australian landscape. 1 Kenneth Macqueen, ‘Adventure in Watercolour: An artist’s story’, Legend Press, Sydney, 1948, p.9.